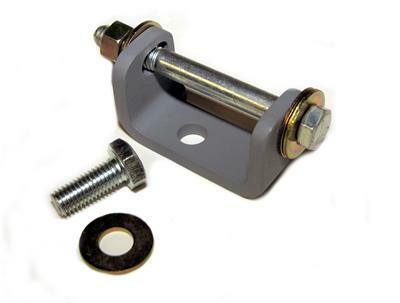 This bracket is used to convert the CS130D, AD230, and AD237 series alternators using the special side-ways mount, as found on 1996 and newer GM V6 engines. Most notably the 3.1L, 3.4L, and 3.8L 60-degree V6 found on the Chevy Malibu and Impala. The 2-foot 2-inch mount foot closest to the front of the vehicle needs to be cut down about a half inch in the back to fit the vehicle's bracket.